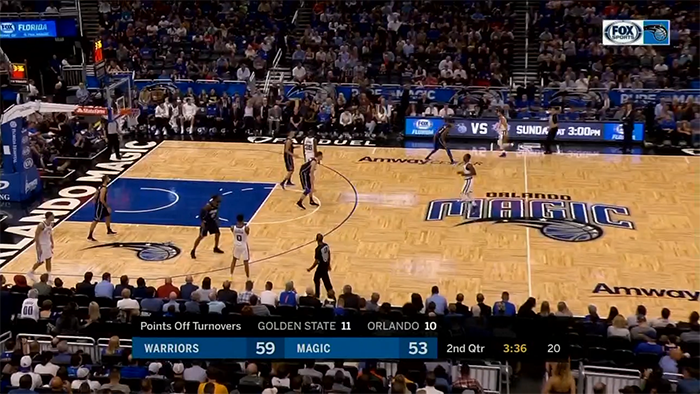 Watch the Warriors' incredible anticipation, Orlando beat pressure through unselfishness, and a reason to dribble toward a crowd. I once talked to a former NBA player who washed out of the league. He was a good college player at a major program, and was drafted — this wasn’t someone who scouts viewed as a fringe NBA player. But after a few seasons of poor performance, he was out of the league, playing overseas, and was never able to fully make it back. “The game was just too fast for me,” he told me. He had never felt that before, never been overwhelmed by the speed of the game the way he was in the NBA. He just couldn’t keep up. NBA players are the best of the best. They are the biggest, strongest, longest, and fastest. 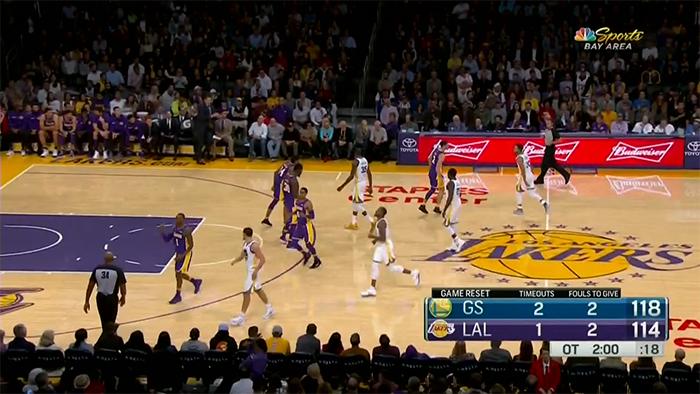 That makes the game play at a different pace than at others levels. To not only survive but succeed in the best basketball league in the world requires players to find another gear to match that speed. It’s the famous Wayne Gretzky quote: “I skate to where the puck is going to be, not where it has been.” When most of us play sports, we react to what happens. But the best players anticipate. They recognize a pattern, tipping them off to what’s about to happen, which lets them skate to where the puck is about to be. 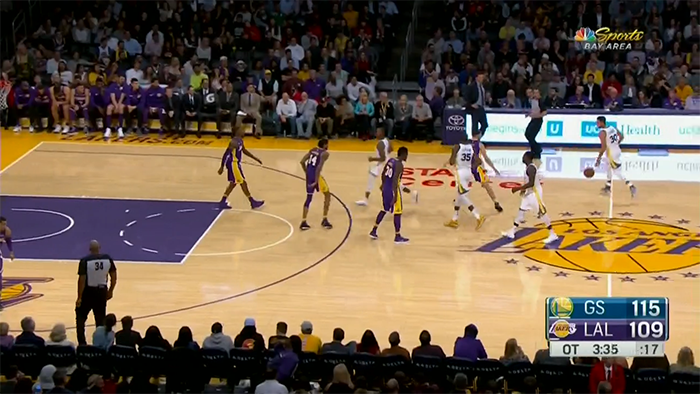 Kentavious Caldwell-Pope is what’s called the “low man” in this play: he is the lowest defender on the weak side, and therefore responsible for helping at the rim in this scenario. Often when you see a play like this it’s because the low man didn’t recognize his responsibility until it was too late. But that’s not the case here. Caldwell-Pope sees it and gets to the spot appropriately. But the pass was made so early that there’s nothing he can do. Caldwell-Pope reacted — Durant anticipated. The Warriors are so good at anticipating, so good at making the superhuman seem ordinary, that when they don’t it seems like a failure.